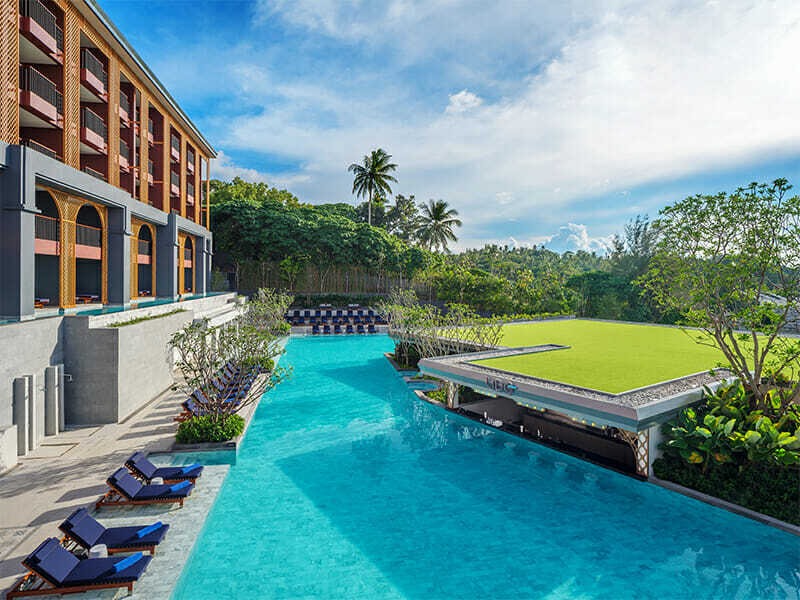 Just a short leisurely stroll from picturesque Karon Beach in south-western Phuket sits the Avista Grande Phuket Karon, MGallery by Sofitel hotel. 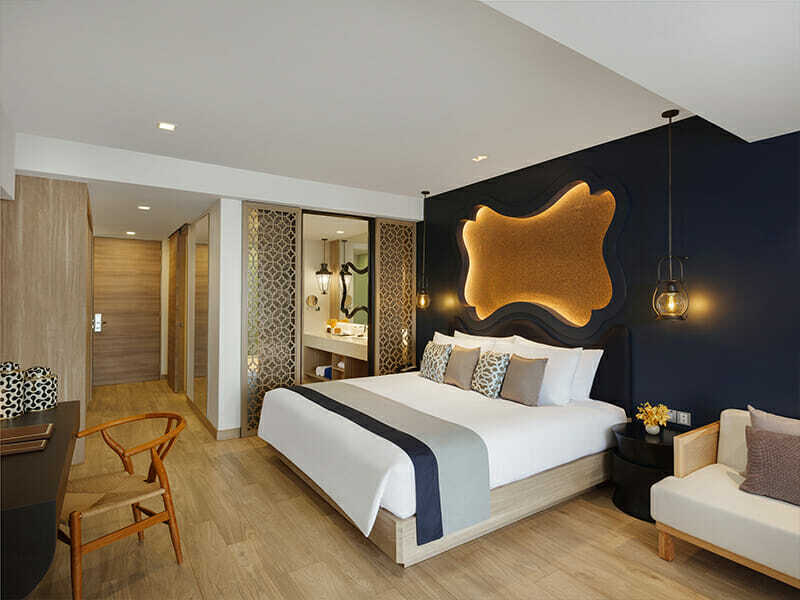 Glorious Karon Beach is one of the best beaches and most popular destinations in Phuket and the Avista Grande Phuket Karon, MGallery by Sofitel will be your relaxing Thai paradise while you experience everything this magical part of the island has to offer. 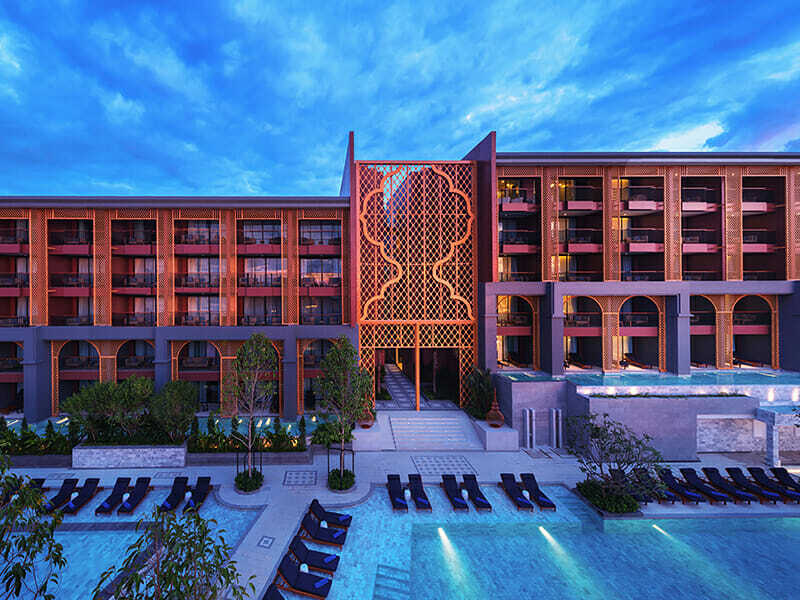 The Avista Grande Phuket Karon, MGallery by Sofitel is a luxurious hotel situated just off picturesque Karon Beach. From your luxury room it is just a short 2-minute walk to the world-class beach. 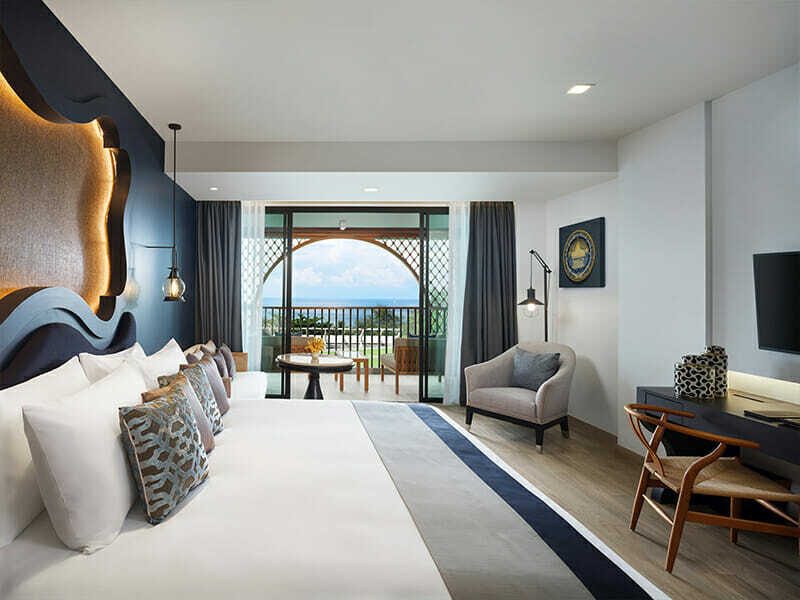 The rooms have been beautifully designed and decorated with a definite ocean influence, which makes you feel right at home with the incredible views out across the Andaman Sea. Let the world slip away as you recline in your sunlounge beside the expansive pool, sipping your favourite drink from the poolside bar. You will love the international cuisine in the Portosino restaurant or for something really different you can experience the unique library and tea room. 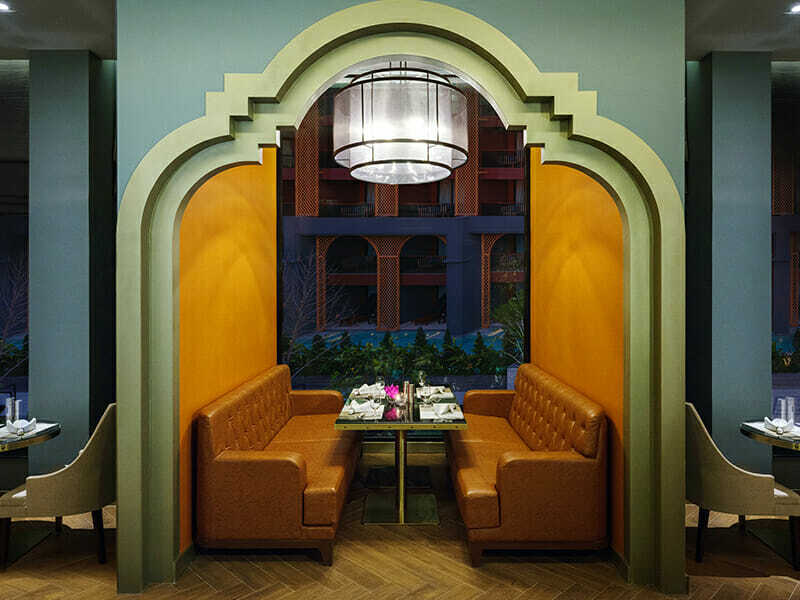 Indulge yourself at the Pearl Spa where you can relax with an authentic Thai massage or enjoy one of the many treatments available in this tranquil retreat from the world. If you love a workout, you’ll find the Avista Grande Phuket Karon, MGallery by Sofitel has a fully equipped gym and fitness centre that is open to guests 24-hours. 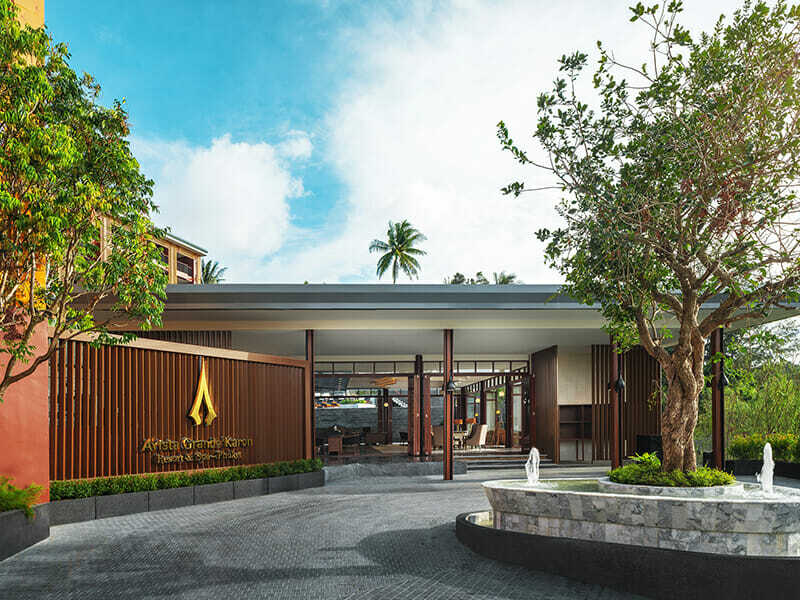 Why go to Avista Grande Phuket Karon, MGallery by Sofitel? If you are looking for the ideal combination of relaxed beachside community and central location for accessing some of Phuket’s most popular attractions, the Avista Grande Phuket Karon is a fantastic option for your next holiday. Having access to such a beautiful beach on your doorstep makes this hotel ideal for both couples and families and is a wonderful location for having an authentic Thai experience. Your room has been decorated with a beautiful authentic Thai feel, finished with tasteful and stylistic furniture and featuring deep and rich ocean colour schemes. You’ll be stunned by the views directly across the ocean from your room and large private balcony. Your room is 53sq. metres and is suitable for 3 adults or 2 adults and 2 children under 12. It provides you the comfort of individually controlled air-conditioning and comes with tea and coffee making facilities, refrigerator, an in room safe and high-speed Wi-Fi. Your spacious private bathroom has a bathtub and a delightful rain shower. 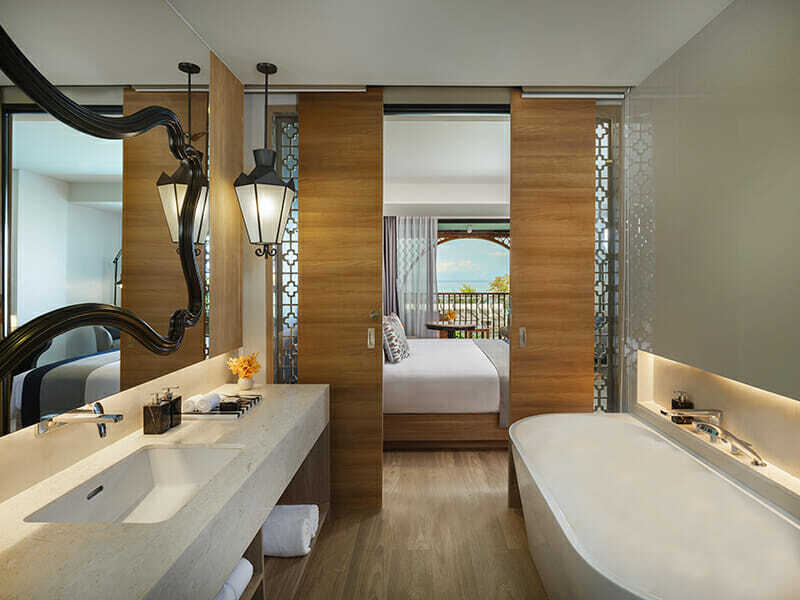 Relaxation means a daily spa bath and the Jacuzzi Suite promises to indulge your every wish! Your room is a reminiscent, elegant Thai design with a contemporary and modern feel. A large private balcony, rain shower and plush bedding will inspire complete revitalisation! The suite is a generous 66sq. metres and is accompanied by Wi-Fi, a smart TV, coffee and tea making facilities, a refrigerator, in-room safe and minibar. This spacious abode will leave you dreaming of another Thailand holiday! Picturesque Karon Beach is on the south-western coast of Phuket Island and is about 1-hour from the Phuket international airport. Karon beach is the 3rd longest beach in all of Phuket and has grown to be a popular destination for those seeking a relaxing Thai experience. It’s centrally located to visit vibrant Patagong to the north, which is just a 15-minutes away and Kata just to the south. It’s also well positioned as a gateway to other attractions in Phuket. You’ll find transportation around this part of the island easiest by Tuk Tuk or taxi and have rental options for exploring a wider area. Karon beach is just amazing and is one of the greatest attractions here. It is long and sandy and the water has a peaceful light blue colour. The beach is wide enough that space is never an issue and you can find a number of beach related activities to do. Patagong is a busy tourist centre found just north of Karon Beach and offers a number of exciting nightlife options. The Portosino restaurant is premier dining option onsite at the Avista Grande Phuket Karon, MGallery by Sofitel and provides a multi-national influenced menu with plenty of options for all dining preferences. 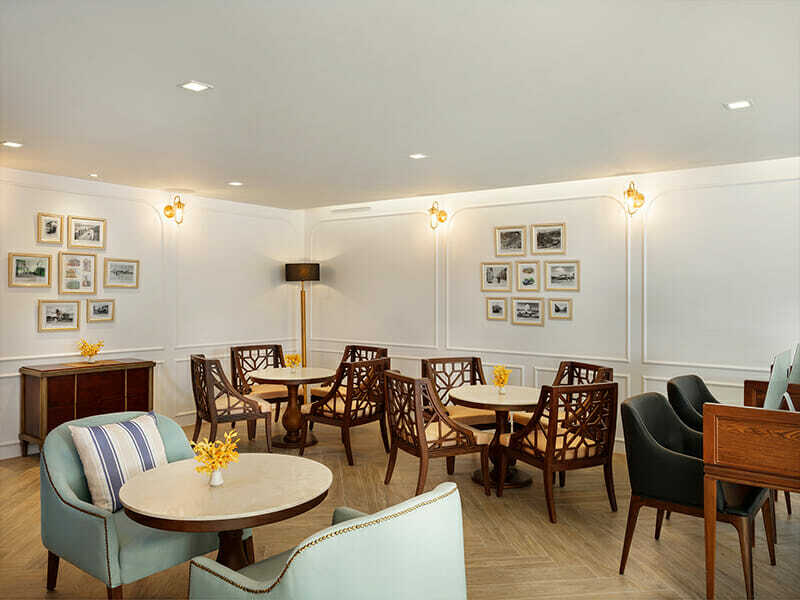 Karon Beach also has a good range of restaurants and cafes to choose from, many of which are just a short walk from the Avista Grande Phuket Karon, MGallery by Sofitel. The Karon Temple is a popular local attraction in its own right, but twice a week it also hosts the Karon Markets, which has an impressive range of gifts and souvenirs, including some handcrafted goods made by local artisans. We had 2 really nice weeks of vacations at Avista Grande Karon thanks to the friendly and helpful staff who welcomed and took care of us there. The hotel is simply beautiful – every detail has been carefully reviewed, starting with the incredible marble pool. We will definitely be coming back!